If Jesus looked at my life, I don't think He would say "One thing you lack." I think would exclaim (imagine a loving southern drawl here), "Here's a whole boatload of stuff we've got to work on boy!" As He reveals my weaknesses to me, I try to work on ways to repent and then glorify Him. I'm thinking about that "for this is God's will for you" part. Is my complaining about the consistent cold part of God's will for me? It seems to be a far cry from "rejoice always" and "give thanks in all circumstances" that Paul instructs. I determined to work on a way to actively rejoice in the cold, appreciate it, and give thanks for it. Truth be told, my wife thought I was a little crazy with my idea. She even registered her "formal complaint" before she saw me go ice skating across the pond at Eastside Park while in a 20 degree snow fall. Then I thanked God not just for the three weeks of cold weather that made the thick ice, but I thanked Him too for not horribly embarrassing me with a trip/fall and polar plunge combination. It may be a small thing to everyone else, turning my griping to rejoicing, but I consider it a significant victory in the battle against all my many "one things." 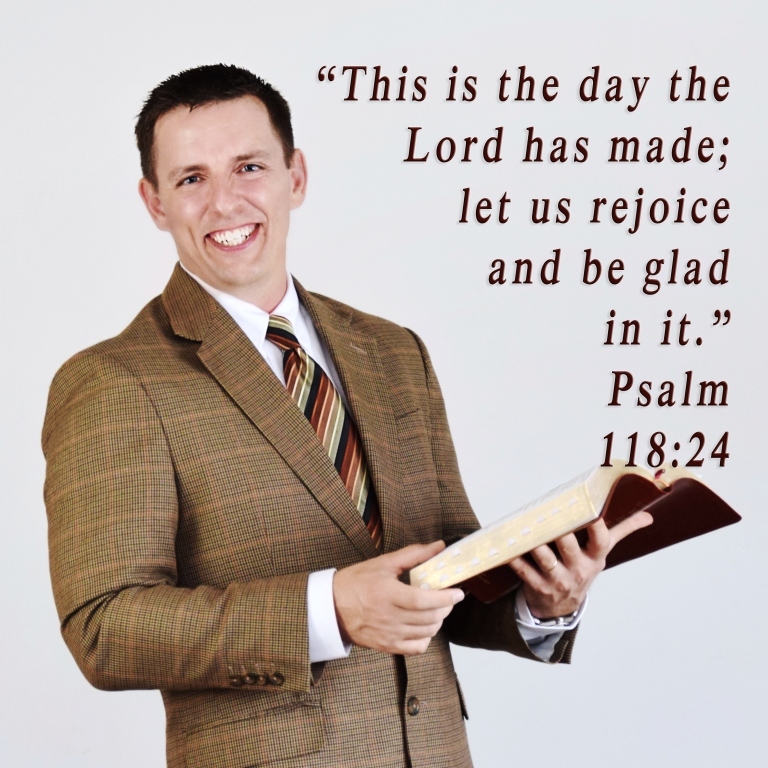 Consider how you can live out this Holy Scripture today. You'll be glad you did. Living Lessons: The Joy Of Snow! May each snowflake be a refreshing message to your soul! 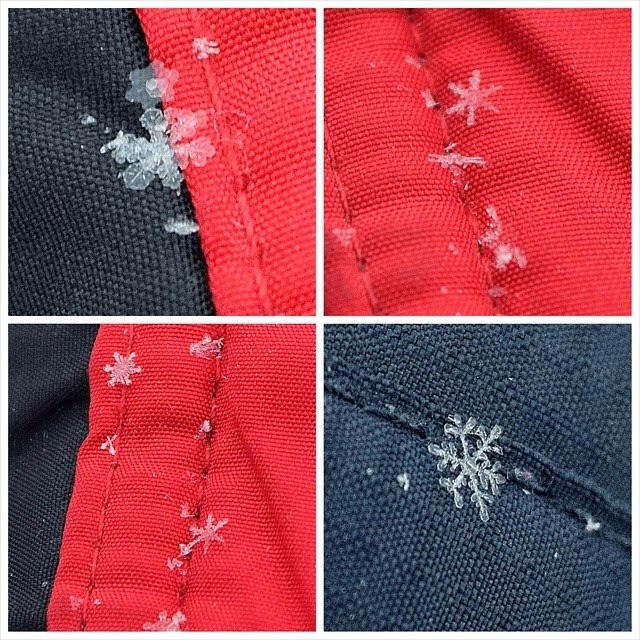 Snowflakes from Ethan & Micah's jackets on 02/17/2015. 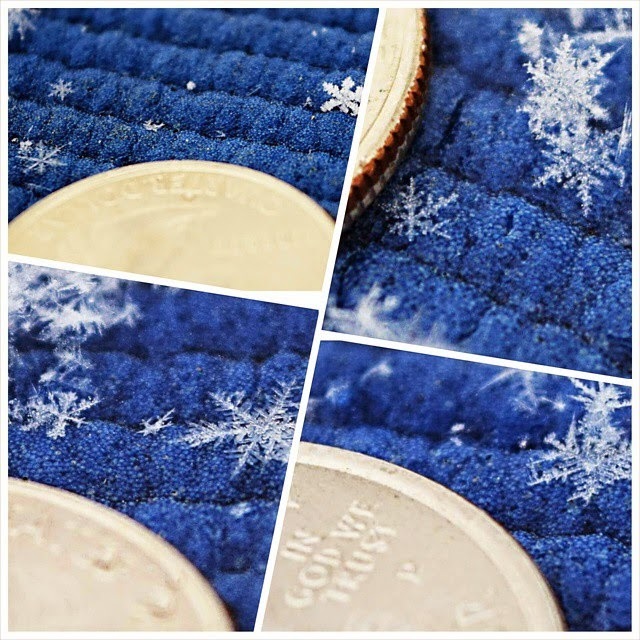 Snowflakes on an exercise mat next to a quarter that I took on 02/17/2015. We took just a couple early photos this morning to share some of God's goodness with you. Pay special attention to the beautiful designs in the snow flakes! While it may seem in inconvenience to some to have snow, to me it is a message of His perfection, His design, and His love for His Creation! Instead of light writing from my experience in daily life (Living Lessons), I want to share with you thoughts that inspire me from a collection of letters from another's extraordinary life. Dietrich Bonhoeffer was a German protestant minister who wrote from prison before his 1945 execution at the hands of Hitler's Nazis. On May 15th, 1943, approximately 6 weeks after his arrest and missing the wedding ceremony of close friends due to being held in prison, Dietrich wrote these thoughts on marriage to his friends. "Marriage is more than your love for each other. It has a higher dignity and power, for it is God's holy ordinance, through which He wills to perpetuate the human race till the end of time. 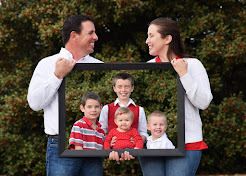 In your love, you see only your two selves in the world, but in marriage you are a link in the chain of generations. In your love you see only the heaven of your own happiness, but in marriage you are placed at a post of responsibility towards the world and mankind. Your love is your own private possession, but marriage is more than something personal. 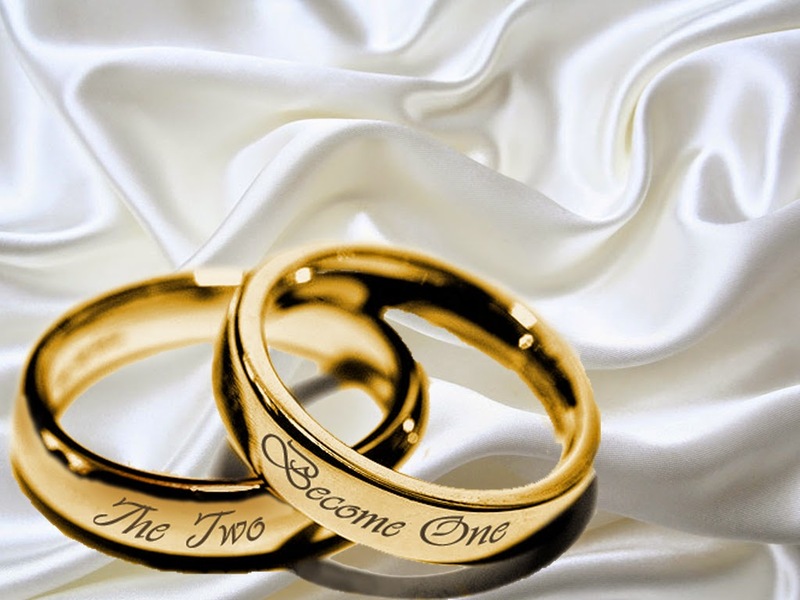 It is marriage and not merely your love for each other, that joins you together in the sight of God and man. Your love comes from you, but your marriage is from above, from God. As high as God is above man, so high are the sanctity, the rights, and the promise of marriage above the sanctity, the rights, and the promise of love. It is not your love that sustains the marriage, but from now on, the marriage that sustains your love." How are you treating your love and your marriage? Treat your marriage as the high purpose and calling that it truly carries. You'll be glad you did.